Utah has become the 5th state to de-fund the Planned Parenthood abortion business in the wake of six videos exposing how the abortion giant sells the body parts of aborted babies for research. The state follows Arkansas, Alabama and Louisiana, which are revoking a contract with Planned Parenthood using state Medicaid dollars, and New Hampshire, which zapped $650,000 in state taxpayer funding. According to news reports, Utah is saying it will no longer allow itself to be used by the federal government to funnel funds to the abortion company. The decision essentially revokes well over $200,000 in taxpayer funding to Planned Parenthood. Gov. Gary Herbert has ordered all state agencies to stop funneling federal funds to the Planned Parenthood Association of Utah. The federal government provides grants to Planned Parenthood, which are distributed through the Utah Department of Health. Utah law bars any organization from using state funds for abortions, and that prohibition extends to Planned Parenthood’s federal grants, Herbert said in a statement Friday afternoon. The move came in response to the release of secretly recorded videos by an anti-abortion group showing Planned Parenthood officials in Houston describing how they provide fetal tissue from abortions for medical research. “The allegations against Planned Parenthood are deeply troubling,” Herbert said. ““If they want to engage with the federal government directly and get their money, I think that’s fine,” the governor said. The governor said there is no reason to fund the abortion business because other organizations provide the same non-abortion services as Planned Parenthood. In Arkansas, Gov. Asa Hutchinson said he is ending state Medicaid payments to the Planned Parenthood abortion business – even as the Obama administration is threatening Alabama and Louisiana for doing so. Hutchinson directed the Department of Human Services to terminate its existing agreements with Planned Parenthood of Arkansas and Eastern Oklahoma, according to a press release from his office. In Alabama, Governor Robert Bentley sent a letter to the head of the Planned Parenthood abortion business in Alabama notifying it of his decision. In Louisiana, the Louisiana Department of Health and Hospitals informed Planned Parenthood it is exercising its right to terminate Planned Parenthood’s Medicaid provider agreement. Meanwhile, in Louisiana, according to the Medicaid provider contract between DHH and Planned Parenthood, along with relevant Louisiana law, either party can choose to cancel the contract at will after providing written notice. But the Obama administration wrote threatening letters to each state claiming their move to de-fund Planned Parenthood violates federal law. Louisiana is not backing down. He cited a provision in the state Medicaid contract allowing either party to cancel it at will, with 30 days notice. The sixth and most recent video features Holly O’Donnell, a licensed phlebotomist who unsuspectingly took a job as a “procurement technician” at the fetal tissue company and biotech start-up StemExpress in late 2012. That’s the company that acts as a middleman and purchases the body parts of aborted babies from Planned Parenthood to sell to research universities and other places. 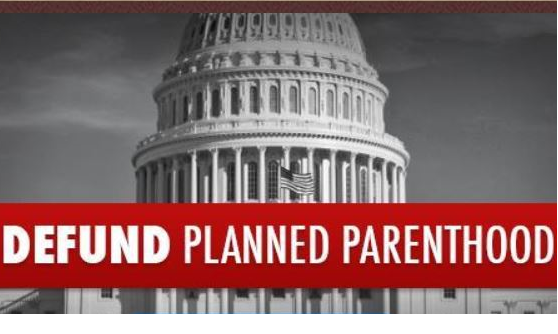 Congress has expanded its investigation into the Planned Parenthood abortion business and three states have revoked taxpayer funding for Planned Parenthood’s abortion business, including Arkansas, Alabama, New Hampshire and Louisiana.